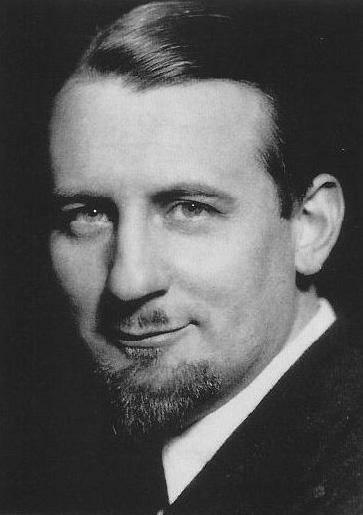 Peter Warlock was the pen name of Philip Arnold Heseltine who was born into a wealthy London family on the 30th October 1894. He was educated at Eton College, and Oxford University where he read for a degree in classics. From an early age he was fascinated by the work of Fredrick Delius whom he met in 1911. The two became close friends, and Delius supported and mentored him throughout his short life. On graduating he resisted family pressure to work in the stock exchange choosing rather to frequent an artistic circle of friends that included the novelist D H Lawrence. His friendship with Lawrence was however fraught and short lived. An unattractive character, Julius Halliday, in Laurence’s “Women in Love” was modelled on Warlock and provoked the composer into threatening legal action. Lawrence recanted and re-wrote the most offensive passages. Warlock never settled into a conventional career. He had some short lived appointments, one as a music critic for the Daily Mail. He did however engage in serious musical scholarship, editing, transcribing and arranging early music manuscripts, and writing a major study of the music of Delius. His first major compositions, mainly songs, began to appear in 1917, at which time he had moved to Dublin to avoid possible conscription. It was at this time that he adopted the pseudonym Warlock, possibly in parody of his interest in the occult. In 1922 he completed his first widely acknowledged masterpiece the song cycle named the Curlew. His period of creativity continued only for a few years culminating in the composition of his most famous work - the Capriol Suite - in 1925. The original piano duet version of the work was a great success and was quickly followed by the version for string orchestra (1926) and a version for full orchestra (1928). However, by 1928 things were going badly for Philip Heseltine. He was getting into financial difficulties and his creativity seemed to be evaporating. He did receive help from Thomas Beecham, who engaged him to write articles for the Delius festival held in October 1929. However this only offered a short respite in his decline into depression and inactivity. On the morning of the 17th December 1930 he was found dead from gas poisoning in his Chelsea flat. The coroner returned an open verdict on the case, but suicide seems the most likely explanation. The Capriol Suite is a set of dances in the renaissance style. It was based on tunes in a manual of Renaissance dances by the French priest Jehan Tabourot (1515-1595). The treatment of the source material is very free and the work can be regarded as an original composition rather than an arrangement. It is made up from of six contrasting movements - Basse Danse, Pavane, Tordion, Bransles, Pieds en l'air, and Mattachins - each in a different dance form. The Capriol Suite was performed by the strings of the Portobello orchestra on the 15th December 2007. The conductor was Anthony Weeden.